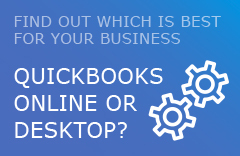 Do you feel that you or your internal bookkeeper needs QuickBooks help? Your QuickBooks could be a mess or in excellent shape but you sense there is a better way to do your bookkeeping. Do you want someone in your office to do the bookkeeping but the candidates for the job don’t have the skills you need?